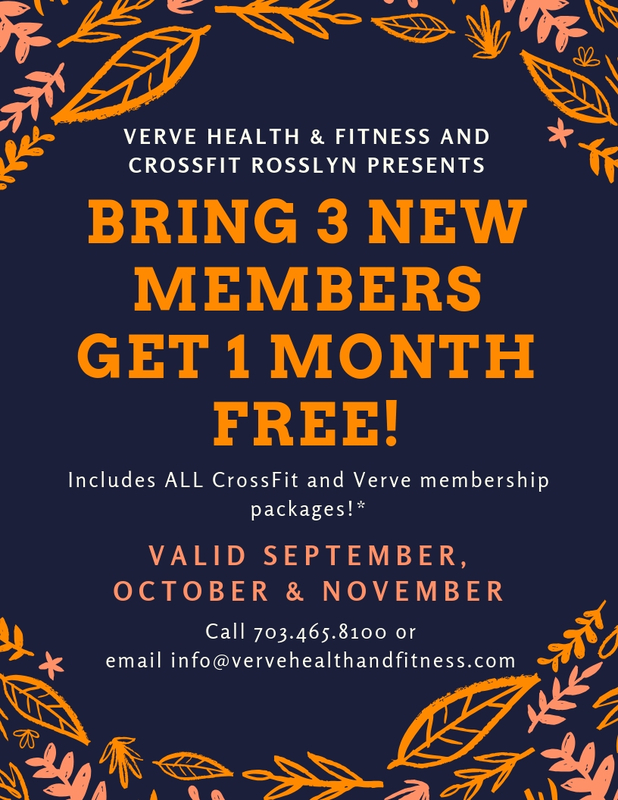 Join the Verve Health & Fitness/CrossFit Rosslyn family for a special (and spooky) Halloween Partner WOD! This is a free workout, so be sure to bring your family and friends to come and WOD with us! Stick around after the workout to enjoy a potluck with everybody! 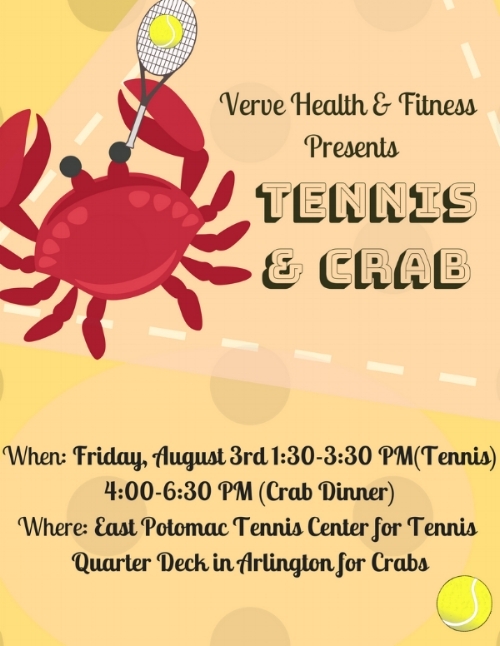 Please call us at 703.465.8100 or email us at info@vervehealthandfitness.com to RSVP! Starting immediately we will be adding three more Open Gym/Pure Strength classes to our schedule! These classes are open to anyone who wants to work on improving a certain skill, completing their own workout, or wanting to do the WOD and Strength Training program for the day! New schedule is as follows. You can register online at crossfitrosslyn.com, or just show up! Keep in mind, we are only allowing 15 people max at a time. All classes are counted as a regular class. Individual rates apply. First come, first served! Check out our NEW Verve Health & Fitness and CrossFit Rosslyn apparel! Available in Small, Medium, Large and X-Large in certain shirts. If you are interested in purchasing one of the items listed below, stop by our gym and pick one up! Purchase one today! These are selling fast! We are extending our FREE Yoga and Zumba Classes for July! Martial Arts - Free first class only! 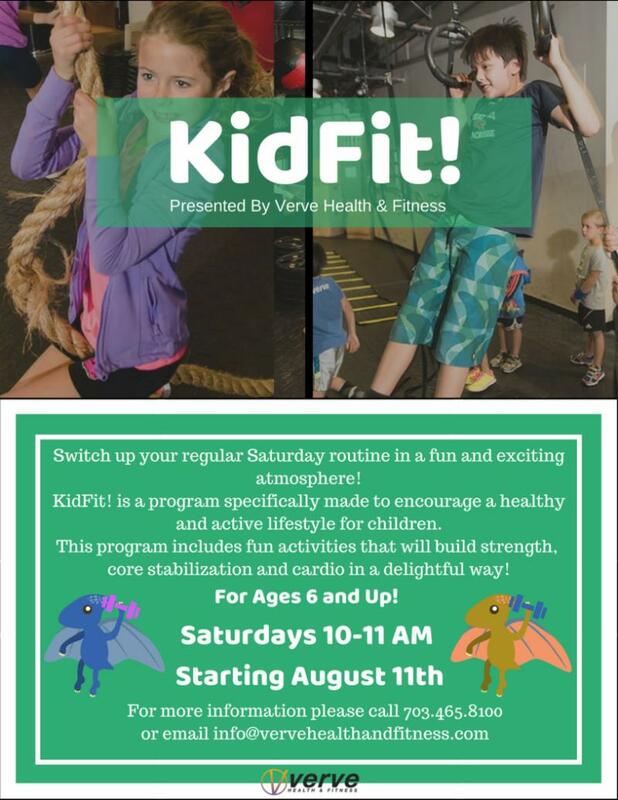 Don't miss this great opportunity to have fun all while reaching your fitness goals! What really is the difference between static and dynamic stretching? The National Academy of Sports Medicine (NASM) defines dynamic stretching as a multiplanar extensibility with optimal neuromuscular control through a full range of motion. Simply put, dynamic stretching is a more active form of stretching, that incorporates movement throughout. An example of dynamic stretching is walking quad stretches demonstrated below. Static stretching is defined as elongating a muscle without any movement, in a challenging yet comfortable position. Static stretching can be done with no assistance, or with assistance like a wall or objects to help deepen a stretch. An example is demonstrated below. The short answer is that they both are! The nature in which you use either one, depends on what type of activity you will be doing. Multiple studies have shown that if you are doing a more intense activity, like participating in a sport, dynamic stretching has been shown to be more beneficial before a work out. This is because the combination of slight movement increases the heart rate, which creates more blood flow to the muscles. Incorporated with a stretch really increases the extensibility of muscles and encourages smooth moving joints, creating more spring in your overall movement. Studies have also shown that static stretching after working out can help decrease the chances of injury by improving your flexibility. Another reason why stretching after a workout is beneficial, is that it helps decreases the intensity of soreness you might experience the day of or days after a workout. However, there are plenty more benefits of static stretching and dynamic stretching! So make sure that you spend more time stretching!